Do you ever wonder why your lawn is not as green as the lawns of your neighbors? When your grass starts to turn into a dull gray/brown hue or darken in colour, it is a sign that it needs a drink. Drought happens when your lawn is not receiving enough water, which can bring severe stress to your grass and make it more easily affected by insect damage and weed invasion. 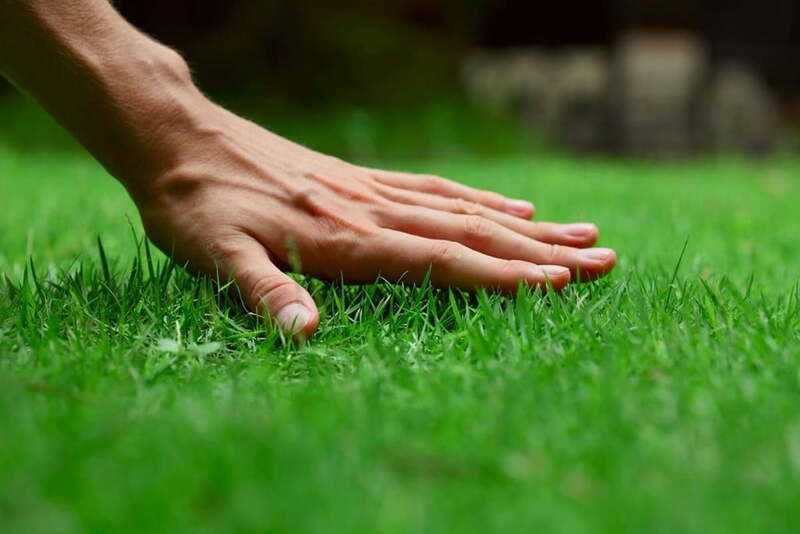 Other signs of drought stress are wilting (grass blades will roll or fold), shallow spots, and footprints remaining in the grass after walking across the lawn. A healthy lawn has strong and resilient blades. Your footprints should disappear as you walk and there shouldn’t be any signs of your mower wheels after giving the lawn a trim. If you have observed one of these signs in your lawn, take a look at the following watering tips to transform your drought damaged lawn into a flourishing and healthy one! 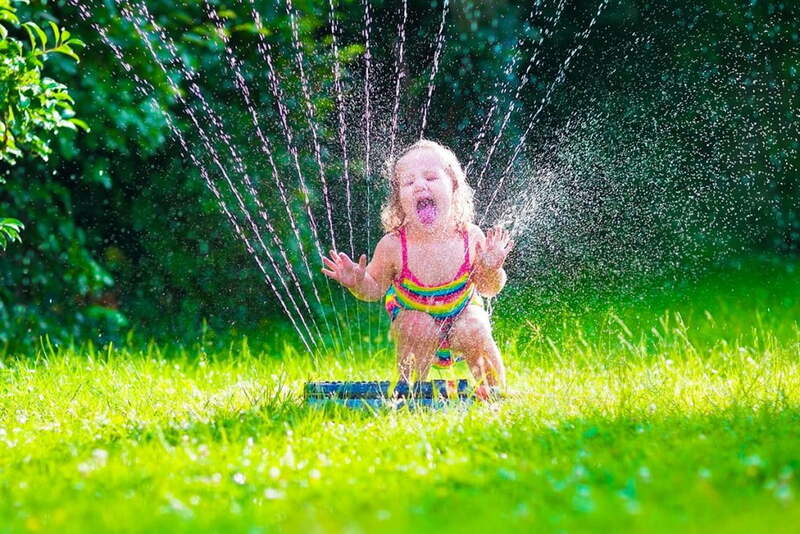 The only solution for relieving the drought stress on your lawn is by applying water. There are many common misconceptions about watering, including the myth that there is no such thing as too much water. This is untrue. Too much watering will harm your lawns by attracting fungus and diseases, and leading to fertilizer wash (meaning your fertilizer gets washed away when the water drains). A deep, long watering once per week is suggested. This will encourage deep root growth, meaning your grass will be stronger and more resistant to high traffic. Water should penetrate the earth and moisten the root zone about six to twelve inches into the soil. In order to water your lawn most effectively, the best time to water is in the early morning. Morning watering provides the most efficient use of water as plants have ample time to have a drink, and there is a full day for leftovers to evaporate. Avoid watering in the evening or at night since there is excessive moisture retention, which may increase disease activity and attraction of fungus or bacteria. 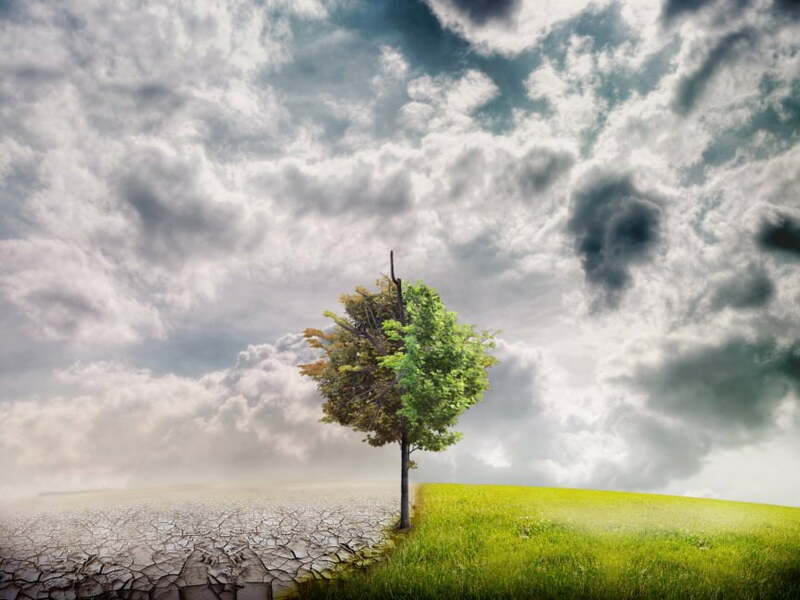 Do not water during the hottest part of the day when up to half of the water can evaporate in the air or on the ground before absorbing deep into the roots. Thank you for the info as I have been watering at night. Thanks as I have been watering in evening. Thank you for great remarks as I was beginning to worry. I still water (using sprinklers), but evidently not enough. Tomorrow morning I will do a solid watering.